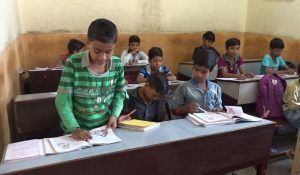 If you are looking for the best source to donate for child education in India, read this article till the end. This article will explain the step-by-step process to sponsor a child in India. According to the constitution of India children between 6 to 14 years old have the right to get free education in India. It comes under fundamental rights. But the irony is most of the underprivileged children have been working as child labor for years to support their family. They don’t have money, don’t get enough food to survive, don’t have a shelter and last but not the least they don’t even get clothes to wear. Apart from that gender discrimination is another reason for poor literacy rate in India. According to the Census 2011, the male literacy rate was 80.9 % while the female literacy rate was 64.6 0% only. As a citizen of India, we must take a step forward and do something for these underprivileged people. Different NGOs have been working for them for years from which we have to take one name that has already been at the forefront when it comes to serving for these needy people. The name of this NGO is Lok Kalyan Samiti. Let’s check out more details about them, and also you’ll get to know how you can donate for a child’s education in India with the help of Lok Kalyan Samiti. Lok Kalyan Samiti started their journey in the late 1980s. They achieved a big success when in the year 1975; they successfully relocated over 200000 slum people to a better area named Nand Nagri. It gave them a new life, and for the first time, these people got the chance to breathe in fresh air. After that, they opened a primary center to provide them with healthcare, education, and sanitation. People get amazed when they look at the history of this NGO. The volunteers of this NGO even walked through waterlogged areas, different by lanes and mate many drug addicts, gamblers and drunkards. Sometimes they had to face horrifying situations. Still, they did not give up. They knocked every household with patience. They received a plot from the LG of Delhi because of their impressive work. After that, they launched a new program, Sponsor a child in India. Under the program – Sponsor a child in India, they offer free education, supplementary nutrition, regular health checkup, and different other talent polishing opportunities to these poverty-stricken children. This program has inspired many people to join hands with Lok Kalyan Samiti and is one of the best ways to donate for child education in India. If you also want to contribute to this program, you have to follow this simple process. At first, you have to visit the official website of Lok Kalyan Samiti. To donate for child education in India, read the details here, and redirect to the donation page. Then you will get a small form that you need to fill up. This form includes your first name, last name, address, city, purpose, telephone number, currency, amount, country, date of birth and the small message. After that, click on the button donate now. You can easily make the payment online. Apart from that if you are an Indian citizen; you can transfer the fund to Punjab National Bank or ICICI bank through NEFT or RTGS. Details of the account number, address, IFSC code is available on the donation page. If you want to donate from a foreign country, you will get the swift code as well as the bank details of Canara Bank in this site. You can transfer your donation through Paytm too. The number is 9871006976. Apart from that, you can send your donation through cheque or Demand Draft also. So visit the official site of Lok Kalyan Samiti and contribute to a child’s education in India.